Right about now, I can find myself getting overwhelmed with everything that needs to get done before our little nugget makes his or her grand entrance into the world. 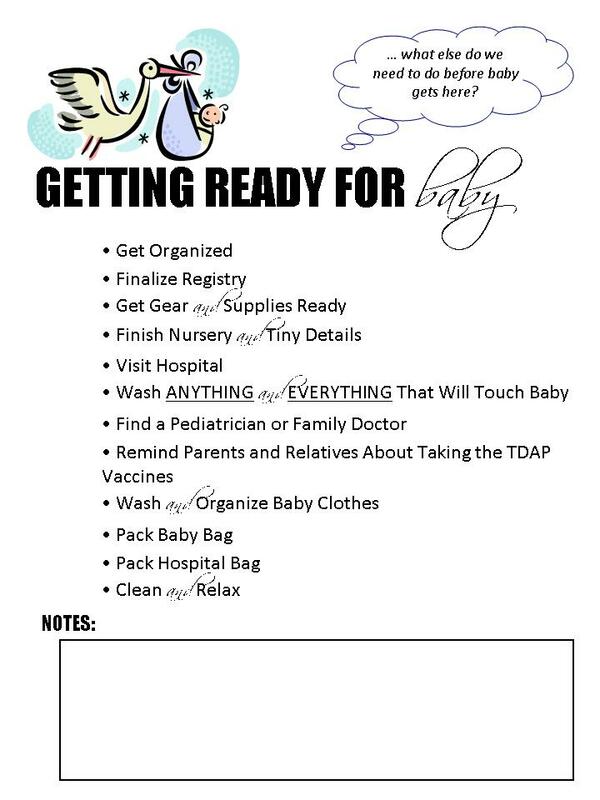 I'm going to start a list that hopefully will be whittled down to nothing before baby gets here. And, I'm hoping that it will serve as a guide to keep us on track. The one, nice thing about Spring Forward is that there is more light during the day. And, when I get home from work, it doesn't feel too late to do something. Since, this weekend, I've been purging and cleaning the house. We are racking up a nice pile of things to donate.